The pace of progress in global health is determined by our ability to seed, nurture and spread innovation. 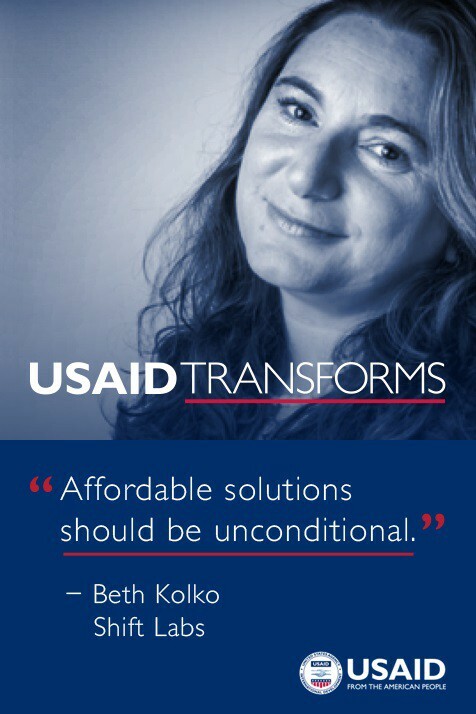 Through Grand Challenges for Development, USAID uncovers promising ideas and applies rigorous, market-oriented approaches to cut the time it takes to transform ideas in a lab to impact on the ground. Shift Labs has a notable mission: build simple and affordable products for health care providers around the world. Based in Seattle, Shift Labs is the brainchild of Beth Kolko, an academic-turned-innovator and a professor at the University of Washington. In 2012, she teamed up with a partner to build what she describes as a different kind of medical device company. “About 10 years ago, I started working on projects related to global health -- mobile health and digital device projects, including a mobile ultrasound device,” Kolko says. The company’s flagship product, DripAssist, is a battery-powered monitor that constantly measures the flow rate and volume of a medication administered via an IV drip, and sounds an alarm if the rate fluctuates. The infusion rate monitor is also FDA-approved, low-cost and portable. Typical gravity infusion performed without the right tools is highly prone to inaccuracy, which can be particularly harmful when treating children and other vulnerable patients who require very specific fluid quantities. According to the company, research shows that during gravity infusion, four out of five patients receive medication that is at least 20 percent off the intended dose. In contrast, DripAssist has been developed to monitor drip rates with an accuracy of plus or minus 1 percent. Gravity infusion is common in settings where infusion pumps are impractical because of infrastructure, cost or training constraints. The patented device gained traction in the global community when it was selected in 2015 as a winner of USAID’s Fighting Ebola Grand Challenge, which called for breakthrough innovations to help health care workers provide better care to their patients. International experts reviewed more than 1,500 ideas that had the potential to reinforce the response to the Ebola outbreak and future epidemics, and DripAssist was one of 14 selected. 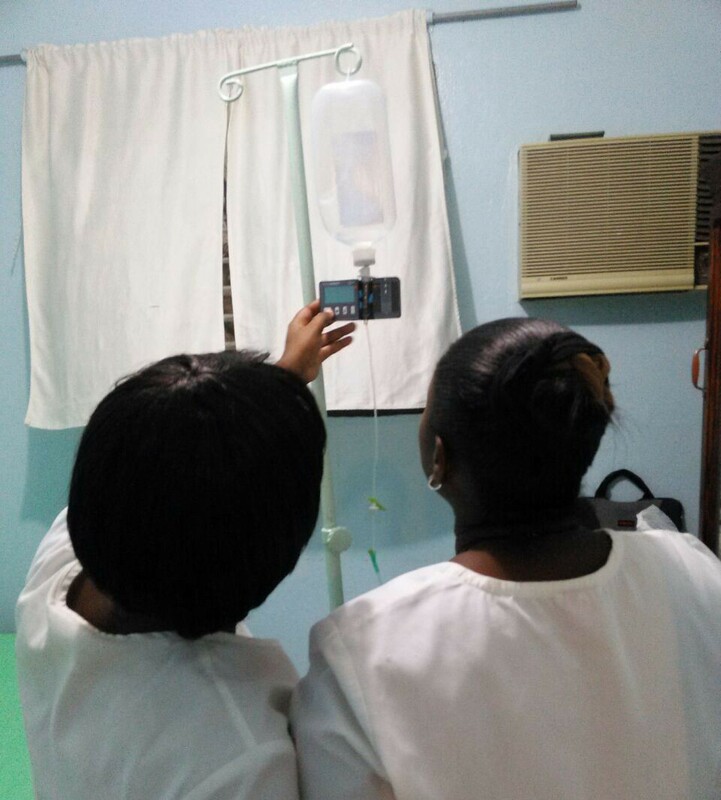 DripAssist is now in use in over 19 developing countries, and several hospitals in the United States are using the device for outpatient care, including chemotherapy. The road for the Shift Labs team, however, does not end with DripAssist. They remain committed to building a pipeline of low-cost, user-friendly products that will improve health care for people around the world. About the Author: Avery Waite is a program analyst in USAID’s Center for Accelerating Innovation and Impact and helps manage the Fighting Ebola and Combating Zika and Future Threats Grand Challenges. Editor's Notes: Beth Kolko holds a bachelor’s degree from Oberlin College and a doctoral degree from the University of Texas, Austin. She is a professor of human-centered design and engineering at the University of Washington and the CEO and co-founder at Shift Labs in Seattle, Wash. This entry originally appeared in USAID's 2030: Ending Extreme Poverty in this Generation publication on Medium.com.